The icon of the Sonoran Desert in Arizona is the large Saguaro cactus (Carnegiea gigantea). But there is a larger cactus in the southern part of the Sonoran Desert: the Mexican Cardon (Pachycereus pringlei), which is native to Sonora and Baja California. The Saguaro commonly reaches 40 feet high and may get larger; the Cardon commonly reaches 60 feet high and more. The Cardon is not as frost tolerant as the Saguaro. That is why it does not grow naturally in Arizona. The photo above shows a Saguaro on the right and a Cardon on the left. This photo was taken at the Arizona-Sonora Desert Museum and you can see that the Cardon shows frost damage. See more photos from Google images. The ribs of the Cardon are generally fewer and more widely-spaced compared to a Saguaro. Saguaro flowers occur mainly at the top of the trunk and arms. Cardon flowers may extend down the sides of the stems. 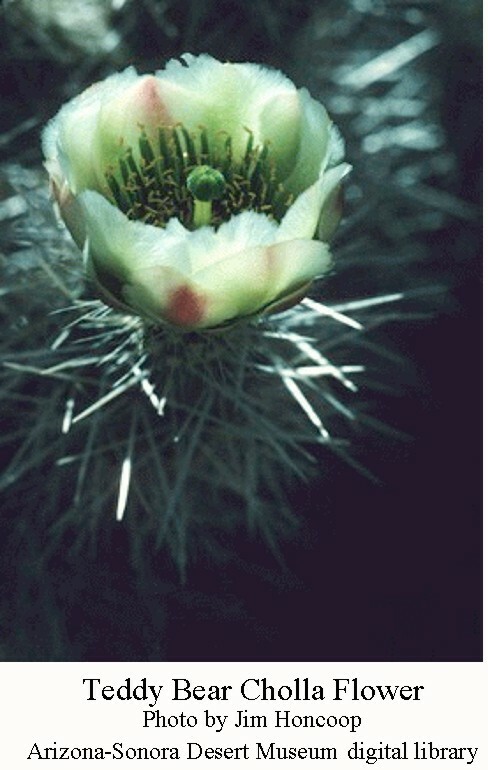 Flowers of both cacti are large, white, and pollinated mainly by bats. The flowers of both cacti open at night and stay open for about 18 hours. The Saguaro has the edge in pollination because its flowers produce a second batch of nectar in the morning for birds and insects. As a result, about 70% of Saguaro flowers set fruit versus only 30% for the Cardon flowers. Cardon fruit was an important food for the Seri people in Sonora, who call the cactus xaasj. Saguaros have a life span of about 200 years, whereas Cardons can live 300 years (Source). There is another cactus called “Cardon.” This one lives mainly in Argentina and is frost tolerant as is the Saguaro. A specimen of the Argentinian Cardon may be seen at the Arizona-Sonoran Desert Museum near the art gallery. Posted in Natural History and tagged cactus, cardon, edible desert plants, Sonoran Desert on May 17, 2016 by wryheat2. The Arizona Daily Independent recently ran an article entitled “Cacti “Guts” Can Purify Contaminated Water” which reported on new research about using cactus mucilage to remove contaminants in water. That lead me to review the basics of plant metabolism and how that metabolism has evolved to deal with the environment. All plants carry out two basic and opposite chemical reactions: respiration and photosynthesis. During respiration, carbohydrates are oxidized to water, carbon dioxide and energy. Written as a formula, this would be Carbohydrate + O2 >> H20 + CO2 + Energy. During photosynthesis, water, carbon dioxide, and energy become carbohydrates plus oxygen: H20 + CO2 + Energy >> Carbohydrate + O2. The energy for this reaction comes from sunlight which is captured by chlorophyll and stored as stable chemical energy. Photosynthesis in about 90% of plants produces a 3-carbon sugar as the first stable product. In botanical terminology, these are called C3 plants. About 3% of plants produce a 4-carbon sugar and hence are called C4 plants. C4 plants use carbon dioxide more efficiently than C3 plants and lose less water through evapotranspiration. C4 plants can grow faster than C3 plants at high temperatures. C4 plants include most summer grasses in warm climates, many weeds, and some important crops such as corn, sorghum, and sugar cane. Cacti and other succulents use a more extreme metabolic process called Crassulacean Acid Metabolism (CAM) to supplement the respiration and photosynthesis process. About 5% of plants use CAM. In succulents, water is stored in leaves, stems, or roots and in the plant “flesh.” Water is bound into extracellular mucilages that hold onto water very tightly. CAM plants keep their stomates (pores) closed during the hot day to prevent water loss via evapotranspiration. Their stomates open at night to take in carbon dioxide. But since there is no sunlight to provided the energy for photosynthesis, the carbon dioxide is stored as an organic acid for use the next day. CAM plants lose about one-tenth the water through evapotranspiration compared to C3 plants. CAM works best when the diurnal temperature variation is large such as in the Sonoran desert where it is common to have a 25- to 30 degree (F) difference between the high temperature of the afternoon and low temperature every night. Under extreme drought conditions, CAM plants keep their stomates closed both day and night. Their metabolism slows to using moisture within plant tissues and carbon dioxide released by respiration is recycled into the photosynthesis process. Some plants, such as agavi deserti, can switch between CAM and C3 metabolism depending upon the abundance of water. Idling CAM plants can resume full growth within 24- to 48 hours of a rain. Agaves can sprout new roots within 5 hours after a rain according to the Arizona-Sonora Desert Museum. Desert-adapted plants use other strategies as well. For instance, mesquite trees have very deep roots that can tap groundwater sources making them less dependent on rain. Have you noticed that many leafy desert plants have relatively tiny leaves? Many tiny leaves have a higher surface area to volume ratio compared to a large, broad leaf. That allows the plant to be a better radiator of heat. The Foothills Palo Verde is the extreme example of this. Even oak trees in our region have small leaves compared to those of more temperate climates. Another adaptation is that leaves may be grayish rather than deep green. This reflects light better and keeps the plant cooler. 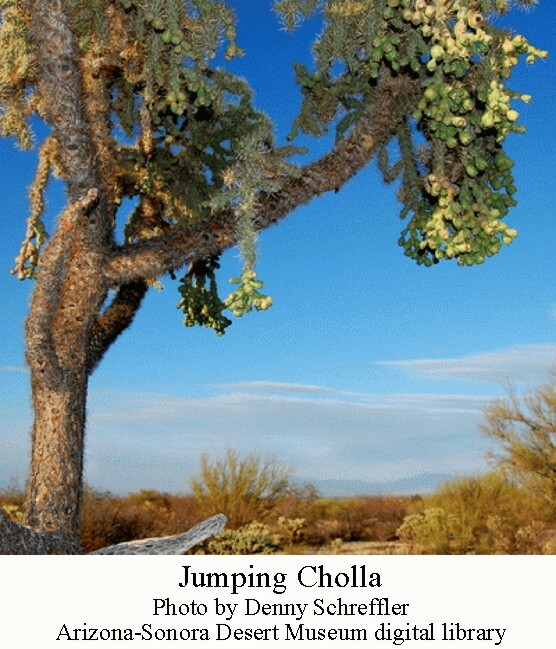 Some plants, such as Prickly Pear cactus and Jojoba have a vertical orientation of their pads or leaves. This orientation allows them to get more direct sunlight in the cooler early mornings or late afternoon rather than in the hottest part of the day. Photosynthesis is more efficient during these cooler times. 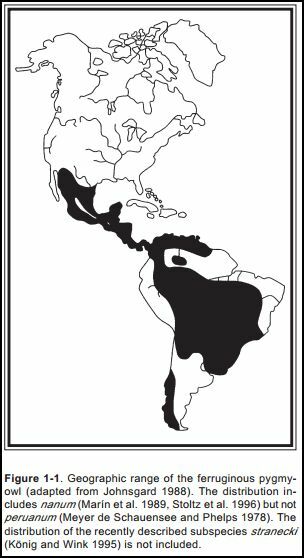 Reference: A Natural History of the Sonoran Desert, Arizona-Sonoran Desert Museum. Posted in Natural History and tagged cactus, CAM, photosynthesis, plant metabolism on April 10, 2016 by wryheat2. The Night-blooming Cereus cactus (Peniocereus greggii) is now hiding among desert shrubs which provide shade and physical support, but it will soon make itself known some time during late May to early July. The cactus stems are thin, barely succulent and often few in number. The stems rarely get over three feet high. They grow from a root, a large, starchy tuber, that can weigh over 40 pounds. If stems are eaten by desert critters such as packrats, new stems sprout from the root. 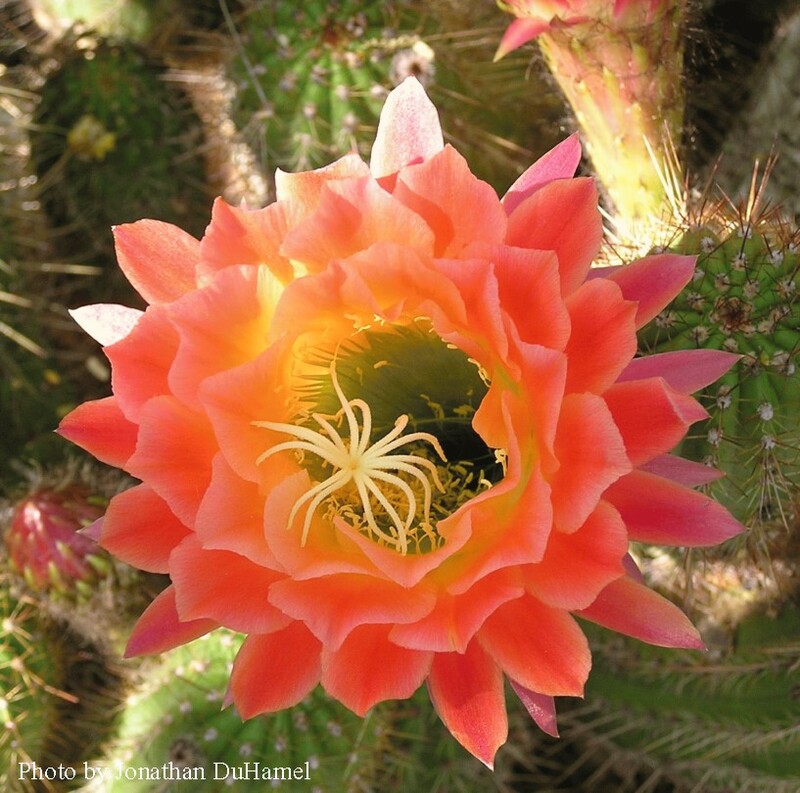 Some synonyms for its name are Arizona queen-of-the-night, sweet-potato cactus, and deer horn cactus. Although the cactus itself is inconspicuous, the flower is spectacular. The flower is bright white and up to three inches in diameter with very long floral tubes and a strong, sweet scent that attracts sphingid moths which are the main pollinators. Some people say the scent is like vanilla. The flowers close up soon after sunrise. 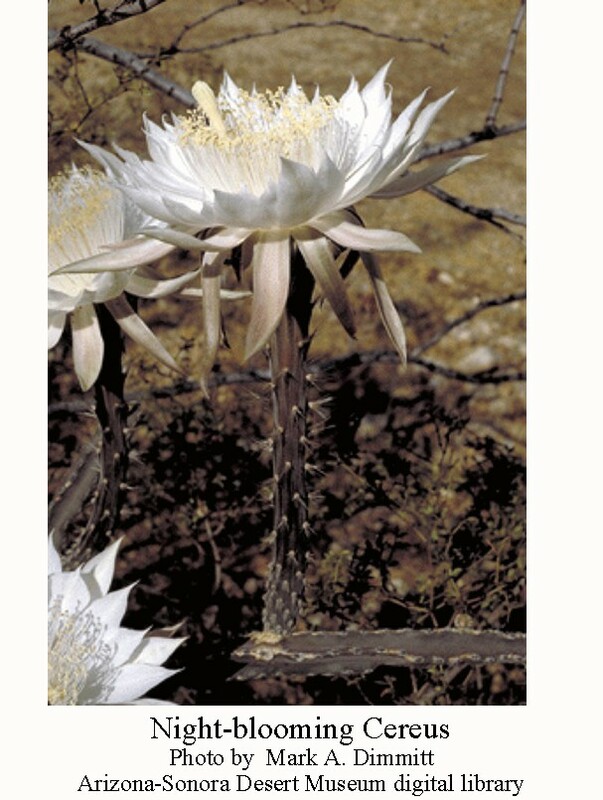 The Night-blooming Cereus ranges from Southern Arizona to southern Texas and adjacent northern Mexico, as well as in Baja California. See more photos at ASDM digital library here. 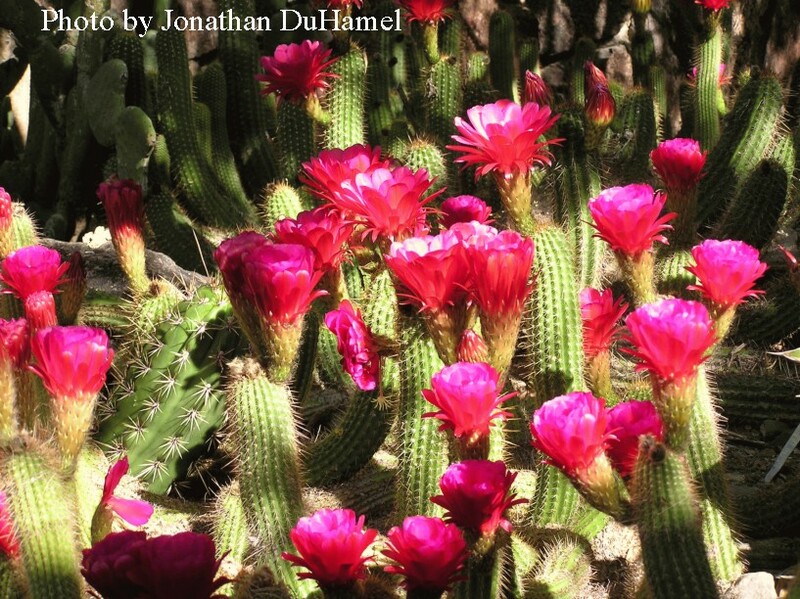 Tohono Chul botanical garden in Tucson has a large collection of Cereus and hosts a “bloom night” every year. Posted in Natural History and tagged cactus, edible desert plants, night-blooming, Sonoran Desert on May 29, 2015 by wryheat2. This article is a book promotion for a new murder mystery by Lonni Lees, my wife. The book is titled The Corpse in the Cactus. Tucson police detective Maggie Reardon is back, in the sizzling sequel to The Mosaic Murder! The murder that Detective Maggie Reardon just solved at a local Tucson art gallery has already created repercussions, complicating her life both legally and personally. Her new lover dropped to second place when a new man entered the picture. A dead man whose body had been found at The Arizona-Sonora Desert Museum lying under a bed of cactus. What at first appeared to be a tragic accident was quickly starting to smell like murder. And dead things always smelled worse under the hot Arizona sun. Losing wasn’t her game, but she’s been dealt a nameless victim with no witnesses, no suspect, and no apparent cause of death. As the evidence unfolds, Detective Reardon battles a hostile fellow cop, determined to see her lose her badge. The mixture adds up to a scorching southwestern recipe guaranteed to sear your taste buds — but leave you begging for more! 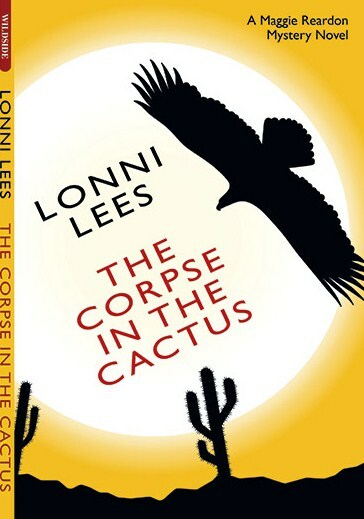 The Corpse in the Cactus is available from Amazon and Barnes & Noble. For this reader one of the great pleasures of reading P. I. or Police Procedural novels in series is the opportunity to move along with a good writer as she develops the character of her protagonist and those close to that person. That’s why I was so glad to see that up-and-comer Lonni Lees has continued to flesh out the intriguing character from 2012’s “The Mosaic Murder”–Detective Maggie Reardon of the Tucson P.D. And this book is even more compelling than the first book in the series, because as Ms. Lees has deepened our attraction to a believable and likeable cop with a heart, she now provides Det. Reardon with a lightly drawn but troubling back story that promises a more complex psyche than is at first apparent. Something powerful happened to Maggie to form her toughened vulnerability somewhere along the line and I want to know what it was! Lees has also pared down and sharpened her mystery this time, making it more puzzling–and ultimately more satisfying– than most of the tired tropes and standard plots we have to plow through while looking for a gem like this. This time we also have a few dark and somehow interconnected weirdos inhabiting a sort of parallel world in the darker corners of Tucson. Ms Lees brings to this underground some of the ways with horror stories that she displayed in earlier books like 2011’s “Deranged” and in some of the short stories she’s published online in magazines like Yellow Mama (where she also does illustration work) to add to the mystery in front of us. This one is a good example of that kind of storytelling. I highly recommend it. And check out Lonni’s other books as well as those of her sister Arlette Lees, a talented author and painter in her own right. Besides The Mosaic Murder, linked above, Lonni’s first novel, Deranged, is about a serial killer who meets his match. This book won a first place award from PSWA a professional association of writers, forensic experts, police and firefighters. Lonni also has an anthology of her noir-style short stories in the book called Crawlspace. One of the stories in this collection, The Blue-eyed Bandit, also won an award from PSWA. Lonni’s story “The Confessor” online at Shotgun Honey won First Place as well as Grand Prize from PSWA. Take a look at The Confessor for a short taste of noir. If you are a fan of murder mysteries, give both The Mosaic Murder and The Corpse in the Cactus a try. If you like sheer horror and suspense, try Deranged. Posted in Book Reviews and tagged Arizona, cactus, Lees, murder, mystery on February 14, 2015 by wryheat2. 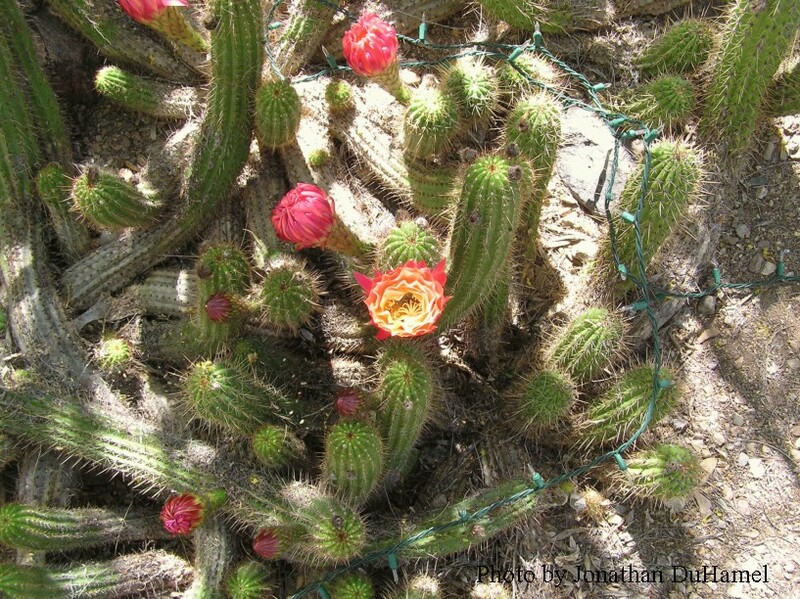 The Red torch cactus (variously Echinopsis huascha or Trichocereus huascha) is native to northern Argentina. Many cultivars (hybrids) exist and are found in gardens elsewhere. 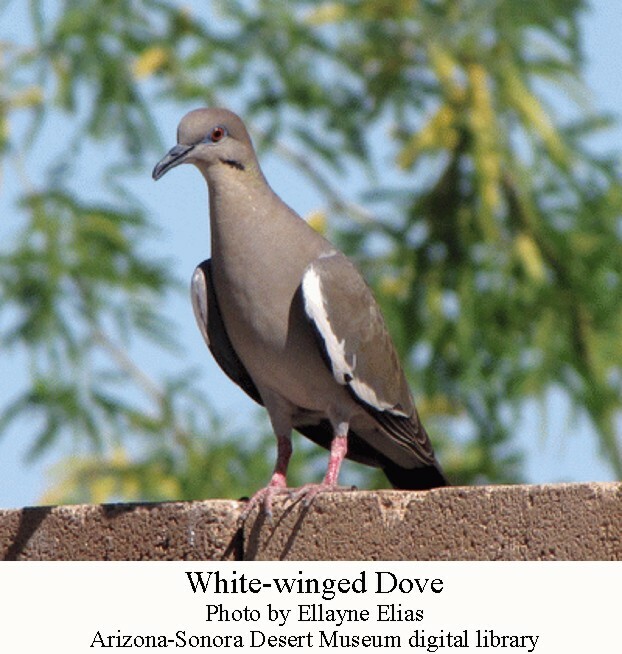 You can see one variety at the Arizona-Sonora Desert Museum in the plaza by the Art Gallery. That is where I took the photos in this article. The red torch cactus resembles our native hedge-hog cactus. The red torch grows one to three feet high and it branches spread up to three feet. It is a heat-loving cactus. Flowers, two to four inches across bloom in the spring. 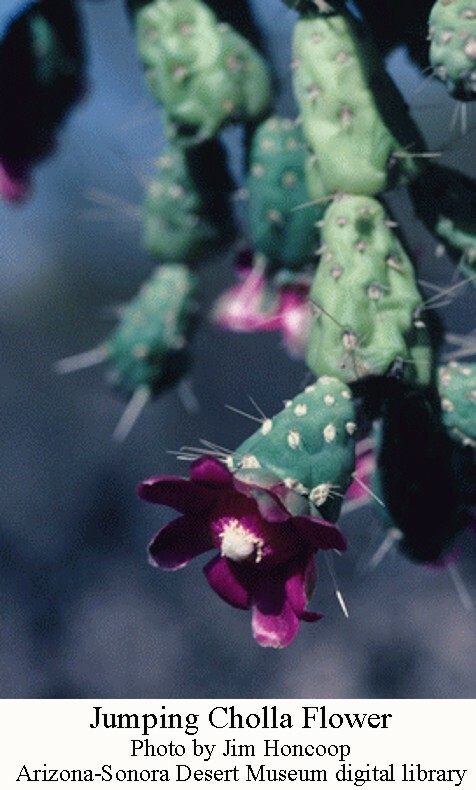 The flowers are nocturnally blooming and exist for only about 18 hours, similar to saguaro flowers. Flower color ranges from deep red to orange and yellow depending on the cultivar. This cactus can be asexually propagated by removal and rooting of stems segments. Allow stem segments to callus for several weeks before directly sticking into the soil according to Arizona State University. There is another Torch Cactus, Echinopsis peruviana or Peruvian Torch, which grows at high elevations in the Andes of Peru. This torch is as big as a saguaro cactus and has white flowers. This cactus contains the psychoactive alkaloid mescaline as well as other alkaloids, a property which has been exploited for thousands of years. The Peruvian torch cactus is relatively fast growing and can also be propagated from cuttings. If you want to know when the torch cacti are next in bloom so you can take photos, follow the ASDM facebook page. Posted in Natural History and tagged cactus, flowers, Sonoran Desert, torch on January 31, 2015 by wryheat2. The Cactus Ferruginous Pygmy Owl – is it a real species? The Cactus Ferruginous Pygmy Owl (Glaucidium brasilianum cactorum) is an alleged subspecies of the Ferruginous Pygmy Owl (Glaucidium brasilianum). Usually when I write of birds, I seek information at the Cornell Lab of Ornithology. But in this case, search for “Cactus Ferruginous Pygmy Owl” or “Ferruginous Pygmy Owl” or “ferruginous owl” yielded no results. When I searched for “pygmy owl” I get an article on the “Northern Saw-whet Owl.” The Sibley Guide to Birds does have a brief article on the “Ferruginous Pygmy Owl” but nothing on the “cactus” variety. In a sense, the Cactus Ferruginous Pygmy Owl is not a species distinct from the Ferruginous Pygmy owl. The same situation holds true for the alleged “southwestern” or “southwest” Willow Flycatcher. They described the owl: “The cactus ferruginous pygmy-owl is a small gray-brown or rufous-brown owl, approximately 16.5 to 18 cm [about 7 inches] long. Wingspan is about 12 inches. In comparison with G. b. brasilianum and G. b. ridgwayi, this subspecies exhibits shorter wings, a longer tail, and generally lighter coloration.” Female typically weigh 75g while males average 64g. Pygmy owls are fierce hunters and frequently attack birds larger than themselves including mourning doves and chickens. They also hunt spiny lizards and rats. The cactus ferruginous pygmy-owl was first described in the Tucson area in 1872 and naturalists described ” the subspecies as common or fairly common along some streams and rivers of central and southern Arizona.” Some authorities claims there was a sharp decline sometime before 1950, cause unknown, but it is speculated that the decline was due to changes in riparian areas. Some naturalists, however, noted expansion along irrigation canals. The story is also complicated by the fact that early naturalists lumped the Cactus Ferruginous Pygmy owl in with the Northern pygmy owl. However, according to an exhaustive review of the literature by Attorneys opposing a 2008 petition by the Center for Biological Diversity, the owl was, and is, only a sporadic and localized visitor in Arizona and its population has actually increased slightly over the past 136 years. The claim of a sharp decline in population is unsupported by any documentation. 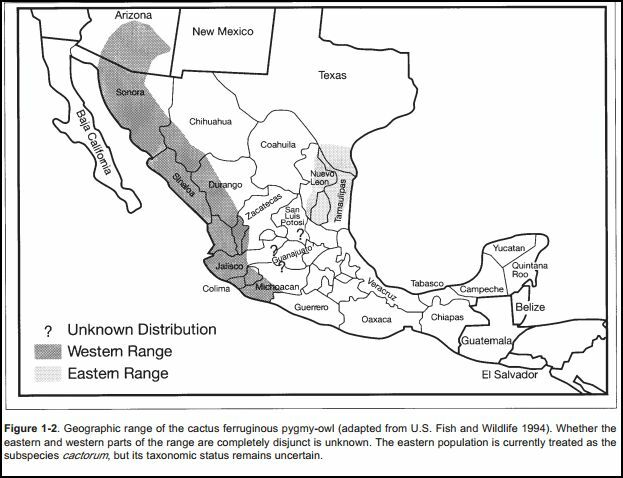 Furthermore, because there is no difference between owls in Arizona and those in Mexico, the establishment of a “distinct population segment” in Arizona is unwarranted. The range maps below put some perspective on the significance of the Arizona population relative to the population as a whole. 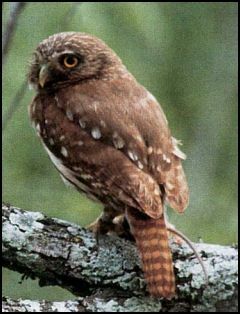 However, environmentalists are still trying to get the Arizona population of pygmy owls listed as an endangered species. Posted in Natural History, Politics and tagged cactus, endangered species, owl, pygmy owl on December 18, 2014 by wryheat2. Saguaro cacti are the icons of the Sonoran Desert (see posthere). The large, multi-armed saguaros are the senior citizens of the cactus world. Saguaros are killed by being struck by lightning, blown over in a wind storm, and by people. But the largest cause of death is freezing. Last winter we had an unusual hard freeze, but its effects may take several years to become evident. 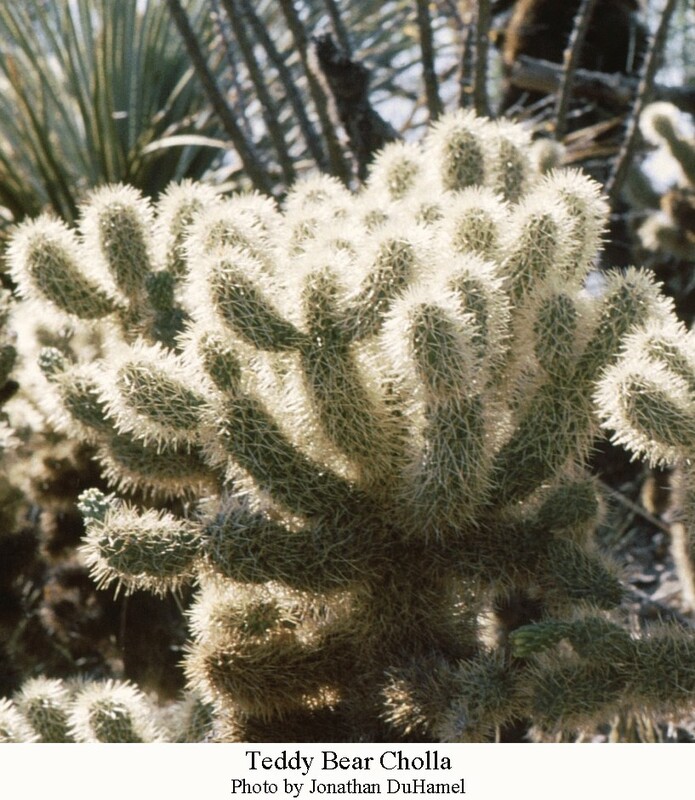 Freezing weakens the cactus, making it more susceptible to infection. 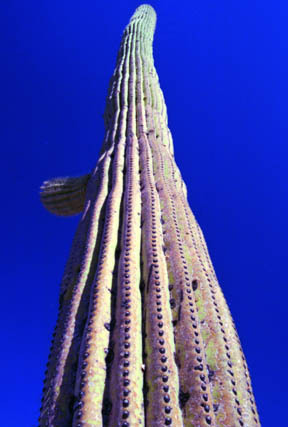 A healthy middle-aged saguaro can stand a few hours of temperatures as low as 10 degrees F in mid-winter. On the other hand, 12 hours of 20 degrees F in late fall causes damage and death. The first sign of trouble is dark scaly skin which cuts down on the cactus’ ability to carry on photosynthesis. The chief agent of infection, a bacterium, Erwinia cacticida, is carried by the caterpillar of a moth. The bacterium causes rot upon which the caterpillar feeds. The rot turns the flesh of a weak saguaro into a smelly, black liquid. becomes an oasis to numerous insects and other arthropods, providing food, moisture, shaded habitat or an enticement for predators seeking live food…. Carve off a piece of tough outer skin of a decaying saguaro, and you’ll find the innards teeming with life. Move the whole saguaro, and spiders race from beneath it, escaping exposure to sunlight. The sheer size of insect populations is always amazing. A small chunk of rotting saguaro (about 1 cubic foot) was examined at the University of Arizona; it yielded 413 individual arthropods, including adult and larval beetles, larval flies, pseudoscorpions, and mites. Compare that small portion to the size of a whole saguaro and you instantly understand why insects are this planet’s dominant life form. And, of course, there are spiders, snakes, lizards, and rodents waiting to prey upon the inhabitants of the rotting saguaro. High school biology teachers, why be satisfied with dissecting frogs when you could lead your class in dissecting a very aromatic and messy chunk of decaying saguaro that is teeming with life? After the death of the saguaro, a series of minerals crystallize in the rotting flesh. These minerals form from elements released from the decay of the cactus by microorganisms and thus is a type of biologically induced mineralization. During the initial stages of decay, authigenic Mg- and Ca-bearing minerals crystallize from elements released by the putrefying flesh and include lansfordite (MgCO3·5H2O), nesquehonite (MgCO3·3H2O), several polymorphs of MgC2O4·2H2O including glushinskite, monohydrocalcite (CaCO3·H2O), calcite, vaterite, and several unidentified Mg-bearing phases. Even in death, the saguaro provides habitat for life and a learning experience for us.